An app (such as Firefox) is opened and maximized on another Space. I'm on a separate Space, and then when I hit Command + Tab, to switch to Firefox, I can see its menu is displayed at the top of the screen, but it does not switch to the corresponding Space, and I can't see the app window. Is there a way I can achieve the desired? 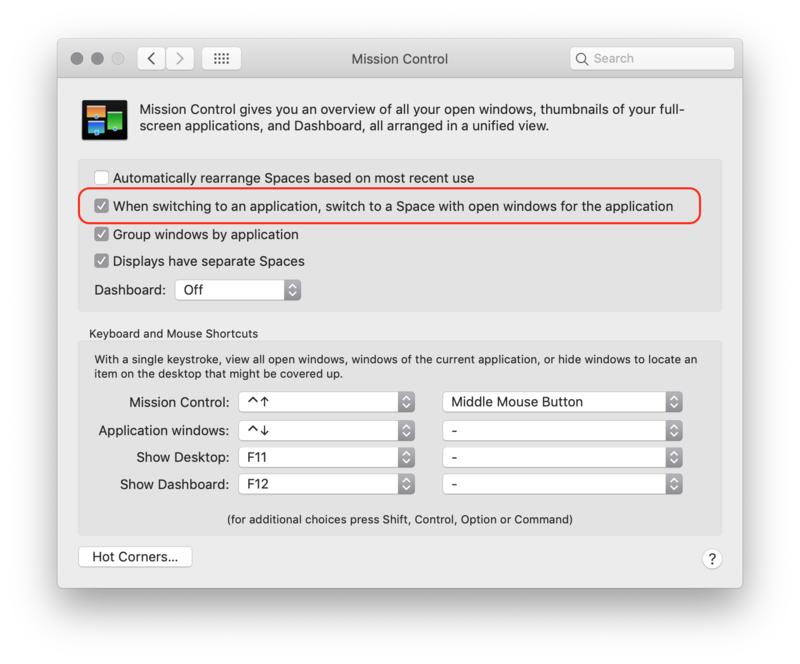 On your Mac, go to System Preferences → Mission Control and see if When switching to an application, switch to a Space with open windows for the application setting is enabled. Why do certain apps fill the background of Mission Control in Mavericks? How can I switch to the Finder without switching in another “space”?